Renovated during the spring of 2015, the ibis Styles Toulouse Labège hotel offers peaceful, relaxing rooms and strolls along the Canal du Midi. With a Comptoir Courtepaille restaurant and several conference areas, our hotel knows how to meet your needs, w hether you are traveling with family, friends or for business. See you soon! Both breakfast and WIFI are included in the room rate. 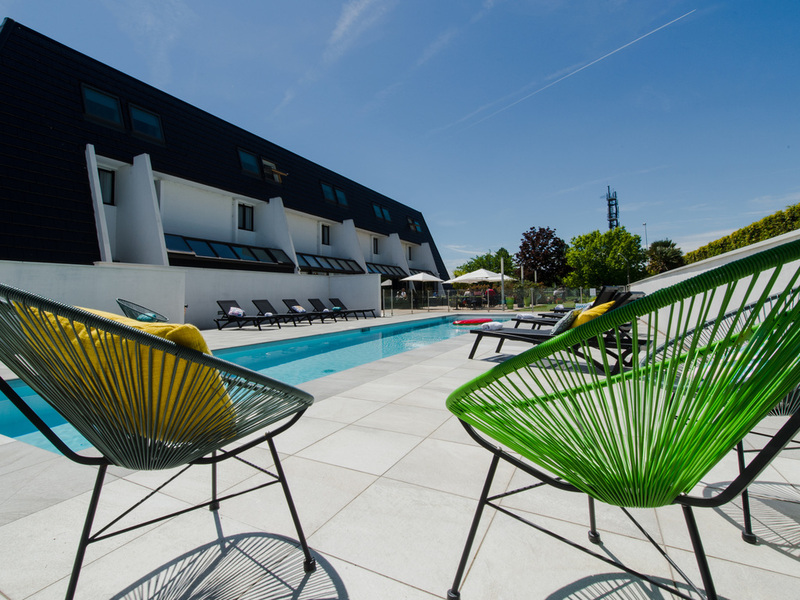 Located just outside Toulouse, the hotel features an outdoor pool that will welcome you to this place of calm and relaxation. With grilled dishes prepared before your eyes and garnished with unlimited vegetables, the Comptoir Courtepaille restaurant at the ibis Styles Labège hotel takes you on a journey along the banks of the Canal du Midi, with something for all budgets.